Looking six months to a year down the road, there are two companies we’re watching closely because we think they’re about to hit pay oil in Paraguay. They’ve honed in on this unexplored, onshore gem that looks set to join the Latin American big boys club and become and a net exporter. The first is UK-based President Energy LLC (PPC), which has a majority stake in some major acreage (16,000 sq km) in the Chaco region, and is estimating that its holdings could have up to 159 million barrels of gross risked recoverable resources. This alone could be enough to turn Paraguay into a net fuel exporter, and President is banking on the proximity of its acreage to similar holdings it has in Argentina. For now, President is focused on Paraguay’s conventional potential, but it won’t ignore the unconventional if it happens upon some shale in the process. We expect the most from President next year: That’s when the company predicts it will produce its first oil in Paraguay. In 2014, President Energy plans to drill six wells and invest $92 million on seismic studies and drilling. The company began seismic tests in December 2012—the first seismic testing in Paraguay since 1987. Earlier this month, President Energy announced it had begun seismic data acquisition in its Chaco holdings, with 3D seismic data covering 780 square kilometers and 2D seismic data covering 100 kilometers across the Pirity and Demattei concessions, respectively. This is THE FIRST 3D seismic data taken in Paraguay. The results of these seismic operations will be released in the fourth quarter. With seismic operations set to conclude in August, President Energy is now focusing on its drilling campaign. We can expect the first results of this seismic survey in the fourth quarter of this year. We like President’s strategy here, which is to de-risk its Argentina holdings with this Paraguay farm-in. The Paraguay concessions reduce President’s single country exposure to Argentina, and while the move does increase its sub-surface risk overall, we like the gamble. 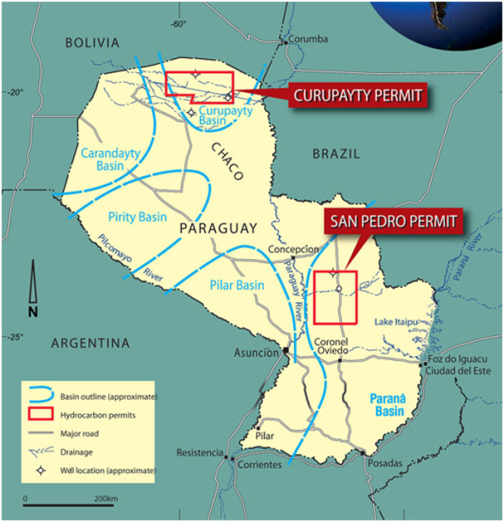 These Paraguay assets have significant exploration potential, as we note in our Executive Report this week on Paraguay, and it also has significant equity to fund drilling (about $44.8 million). The company is also a market mover through its Argentina concessions. It’s just launched fracking at its Puesto Guardian concession in Argentina for a first-phase, three-well program. The first results of this should come in June. It’s also outperforming in its US (Louisiana) assets, so this cash can be used to develop in Paraguay. President Energy has a market cap of GBP 50.7 million, and a share price of GDP 18.88 (close on 29 April). Its stock is trading down a bit this month, but we like where the company sits and the longer-term growth prospects here. In March, it was trading up on news that its Louisiana assets were outperforming, producing ahead of expectations, with new drilling prospects identified. Production here is at a 3-year high of around 250 boepd. The company will point out that the Louisiana holding is not its strategic play—and we fully agree—but it boosts its capabilities in Paraguay and Argentina. Our second pick is UK-based Amerisur Resources Plc (AMER), the largest acreage holder in Paraguay, with 6.2 million hectares and five 100% owned oil and gas permits in the Chaco and Parana Basins. It also has 100% working interest in the Platanillo Block and the Fenix Block in Colombia. Yes, there is a pattern here: 100% interest has always been the target, but there are opportunities here as the company has established a sound production baseline. We like the company’s financials. Amerisur’s 4th Quarter 2012 results showed that revenue was up 197.3% to $42.2 million, from $14.2 million in 2011. The company’s operating profits were also up 493.6% to $19.6 million in this period—from $3.3 million in 2011. At year’s end, Amerisur had $47 million cash on hand, compared to only $17.2 million in 2011. All of its 2013 projects are fully funded. The company has trebled its revenues from Colombia, and Paraguay could significantly boost its portfolio. 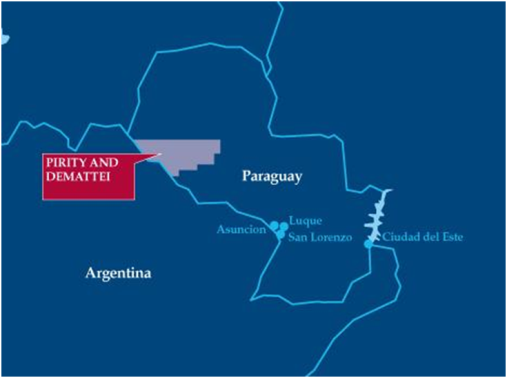 Amerisur’s five blocks in Paraguay are undergoing gravity and seismic work this quarter. Everyone’s got their eye on its San Pedro block, which is estimated to have unrisked potential resources of over 708 million barrels. The company’s ambition is paying off, and while 2012 was a transformational year, 2013 could be even better. It’s got a healthy cash balance and if we see results in Paraguay like we have in Colombia, this will be one of the hottest stocks on the LA market. (It’s trading at GBP 52.75 on the London stock exchange as of 30 April, up 0.48%, with a market cap of GBP 483.2 million).